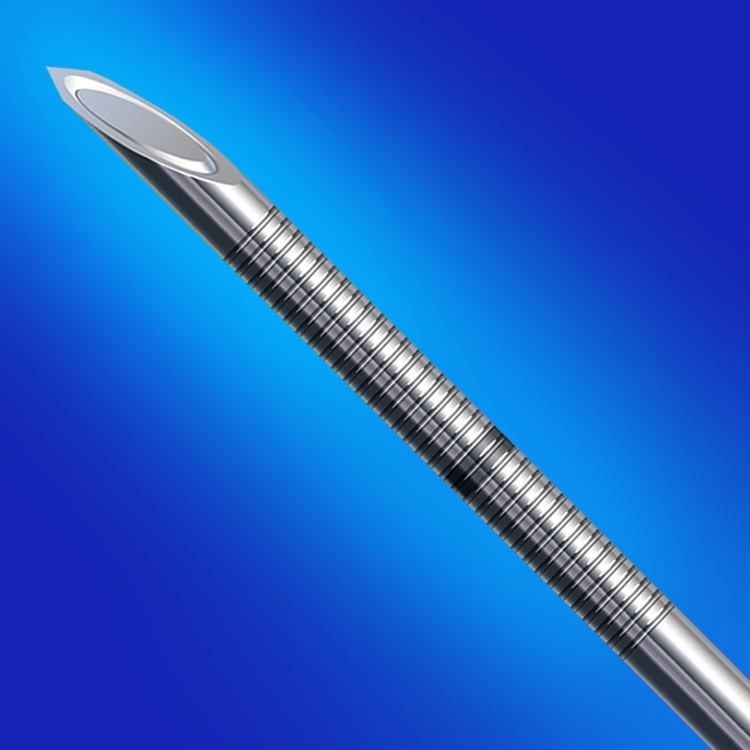 The Echogenic EchoBlock® PTC Non-Insulated Quincke point needle for ultrasound guided pain injections feature Micro Laser Etching (MLE™) near the tip to reflect sound waves back to the transducer, making the tip visible under ultrasound. This MLE™ technology allows for a much larger variety of sizes, it also does not indent the cannula so it has a stylet since the inner diameter is not affected. It also completely encircles the tip of the needle so all sides appear bright under ultrasound. Manufactured for Havel's® by Hakko® Medical, Japan, the EchoBlock® PTC is poised to become another big hit for Havel’s® Inc.